Tecnomatix Planning and Management solutions provide a single source of product design and manufacturing planning information. With these solutions, you can significantly improve collaboration between product and process development activities. It provides several collaboration and analytical tools to help you perform manufacturing planning digitally and thereby avoid production stoppages because of design flaws. You are able to bring products to market faster while ensuring that the cost of manufacturing is contained. 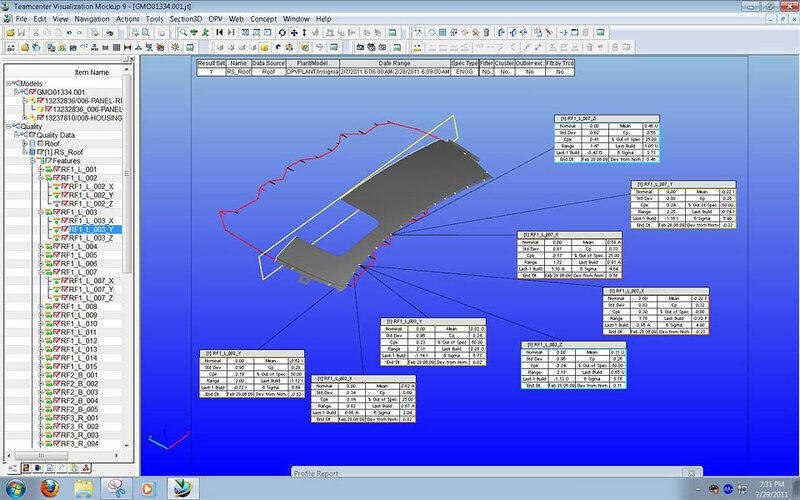 The Tecnomatix process design and management solution allows design and manufacturing engineers to concurrently develop product and process planning definitions. This ensures that manufacturing constraints can be reconciled during product design, resulting in more efficient manufacturing plans. With a true concurrent engineering solution that allows parallel execution of product engineering and process planning activities, you can drastically improve profitability, time-to-market and quality. Tecnomatix allows you to associate and reconcile multiple configurations of product bills of materials (BOMs) and bills of process (BOPs). 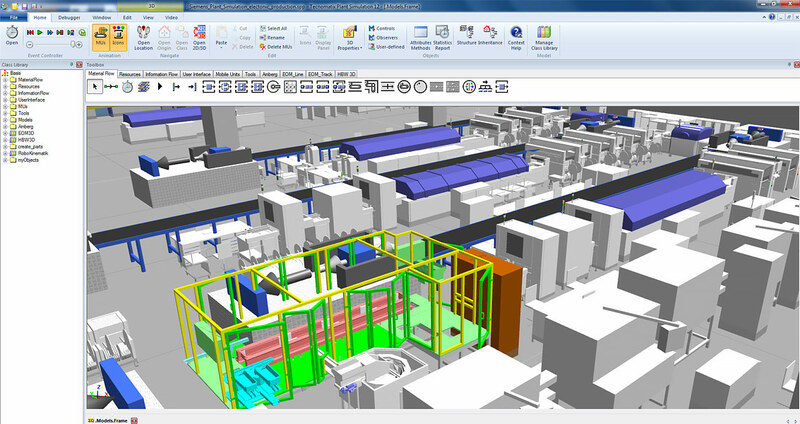 You can also validate manufacturing planning decisions by using advanced visualization and analytical tools. The Tecnomatix Manufacturing Process Planner (MPP) application is powered by Teamcenter and allows design and manufacturing engineers to concurrently develop product and manufacturing process definitions. This ensures that manufacturing constraints are reconciled during product design. By connecting the design/build process, MPP allows manufacturers to evaluate alternative manufacturing scenarios, maximize resource utilization and optimize throughput at the very early stages of concept planning. Manufacturing Process Planner enables you to manage your manufacturing data, process, resource, and plant information in an integrated product and production lifecycle environment. This provides a seamless alignment between your engineering bill of materials (BOM), manufacturing BOM and the manufacturing bill of process (BOP). You can be confident that your designed parts and assemblies are properly consumed by your manufacturing processes. You also have advanced time management features that can help you analyze value added and non-value added activities and support your lean initiatives. You can also generate 2D/3D work instructions to clearly communicate assembly steps to the shop floor. 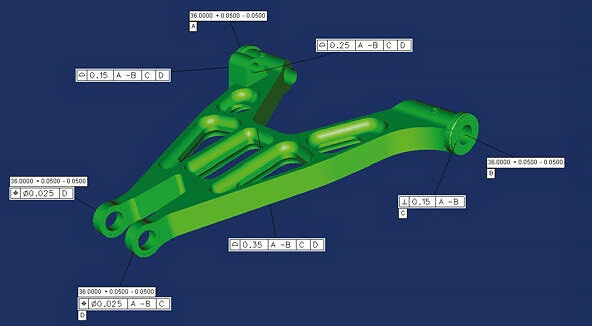 Advanced Assembly Planning allows manufacturers to configure the product BOP and the plant BOP independent of each other. The Advanced Assembly Planning application bridges the connection between the product centric view of building a product – the product BOP – and the plant centric view of building a product – the plant BOP. Process Designer bridges the gap between product and process design to enable manufacturers to start process engineering efforts sooner to meet market commitments, as well as to provide design feedback about product manufacturability – with the end-result of higher-quality products. You can develop and validate your manufacturing strategies within a 3D virtual environment, regardless of your product lifecycle management (PLM) platform. 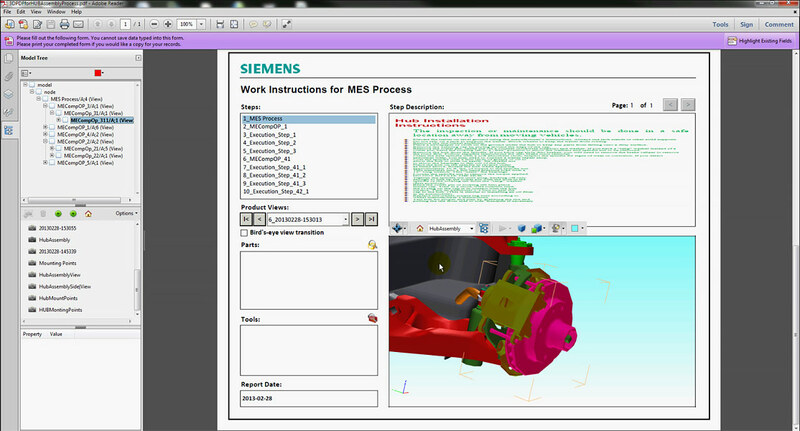 Process Designer enables you to plan your assembly processes in a 3D collaborative environment. You can quickly and easily compare multiple alternative scenarios and select the most optimal process. You can also define the assembly sequence, choose the required tools and create the plant, line or station layout using an intuitive and configurable user interface. Perform line balancing by optimizing the assignment of processes to stations or workers, and have clear visibility of active and passive resources. You can create various types of process documentation, including electronic work instructions, bills of materials and management reviews and distribute them to your colleagues over the Web. 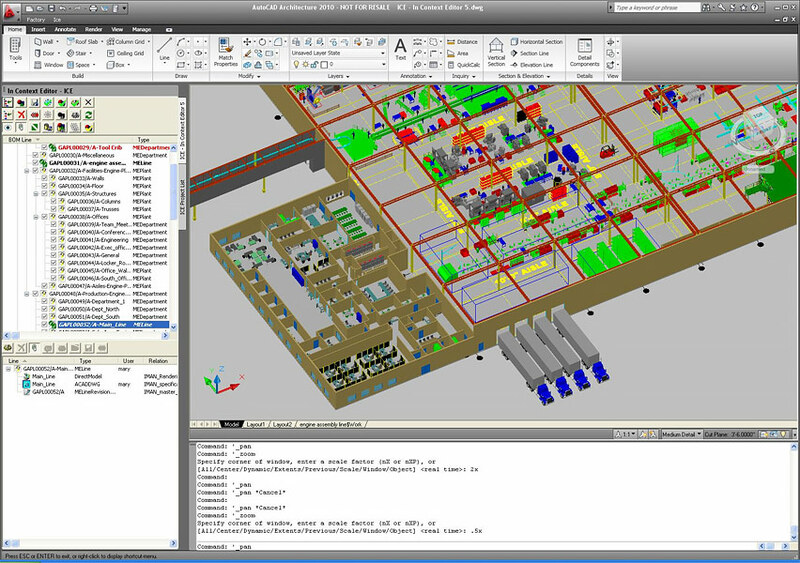 The Web-Based BOP Manager provides access to process data, including 3D visualization of parts, resources and layouts, in a web-based environment. This application enables manufacturing engineers to review, analyze and share product and process information. 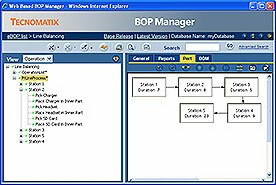 The Tecnomatix Web Based BOP Manager enables you to access this information using a standard web browser. The Web-Based BOP Manager provides secured on-line access to the manufacturing data repository, and enables easy to use navigation through projects and process information. The solution provides a web-based environment for reviewing, managing and sharing digital manufacturing information. Detailed 3D information of manufacturing facilities and products can be visualized as well as process sequences using Pert diagrams. Online reports with detailed information providing an overview of the current planning status. 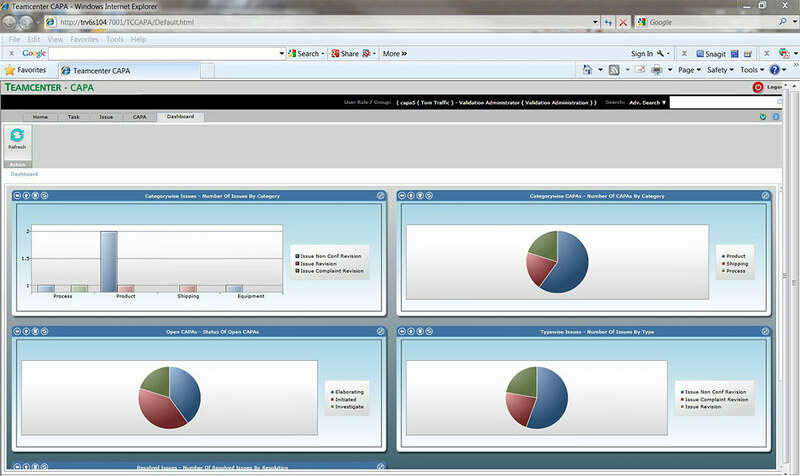 The reports can be customized due to customer requirements. The Tecnomatix manufacturing work instructions solution provides an integrated environment where all product, process, resource and plant information is fully associated under a managed environment. Using Teamcenter’s configuration capabilities, process documentation can be automatically updated through revision management, allowing you to react to changes quickly and easily. The electronic work instructions (EWI) solution is a Teamcenter-based web application that allows shop floor workers to access 3D, animated work instructions directly from a Teamcenter database. The Teamcenter manufacturing 3D PDF documentation solution allows planners to distribute interactive 3D work instructions in PDF format to the shop floor. 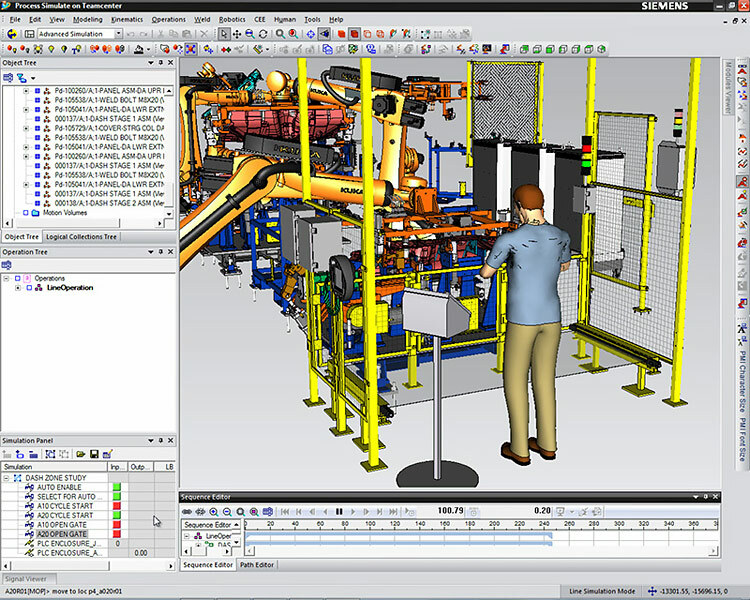 The Tecnomatix factory design and optimization solution allows you to design, layout, and configure your factory environment, as well as optimize factory operations using digital models in a 3D factory environment. By developing 3D virtual models of production systems, you can optimize factory layouts and ensure that factors such as clearance, energy, noise and safety are taken into consideration before starting production. By giving design teams the ability to see the outcome of plans in virtual facilities, you can avoid costly expenses and wasted resources that occur when problems are discovered in real facilities. FactoryCAD is a factory layout application that gives you everything you need to create detailed, intelligent factory models. Instead of having to draw lines, arcs, and circles, FactoryCAD allows you to work with "smart objects" that represent virtually all of the resources used in a Factory, from floor and overhead conveyors, mezzanines and cranes to material handling containers and operators. With these objects, you can "snap" together a layout model without wasting time drawing the equipment. FactoryFLOW is a graphical material handling system that allows industrial engineers to optimize a factory layout based on material flow distances, frequency and cost. This is accomplished by evaluating and analyzing things such as part routing information, material storage needs, material handling equipment specification and part packaging (containerization) information against the factory layout. 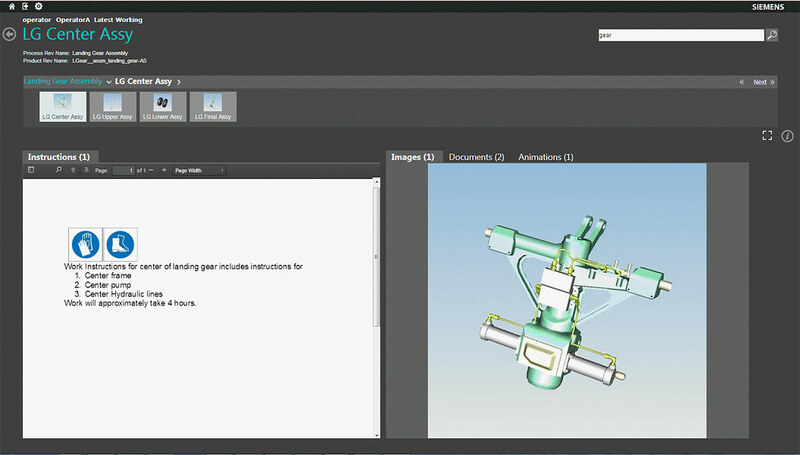 Context Editor (ICE) is a Teamcenter interface and allows you to store and retrieve 2D/3D data created in FactoryCAD. 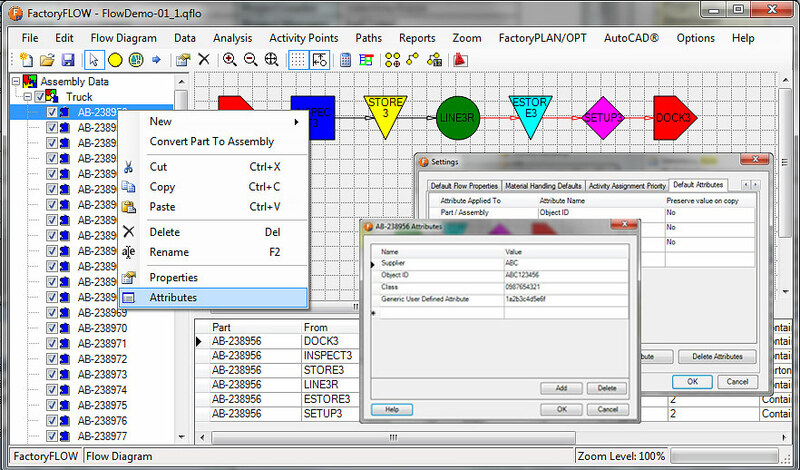 ICE provides a collaborative environment for managing your factory layout data, maintaining the layout plan in the context of the manufacturing bill of process (BOP) information. The Tecnomatix dimensional quality solutions enables you to analyze the impact of manufacturing processes on design features and tolerances highlighting the sources and amounts of dimensional variation. It helps you improve design quality and eliminate costly prototypes while reducing labor, tooling and metrology costs on the shop floor. Variation Analysis (VSA) is a powerful dimensional analysis tool used to simulate manufacturing and assembly processes and predict the amounts and causes of variation. 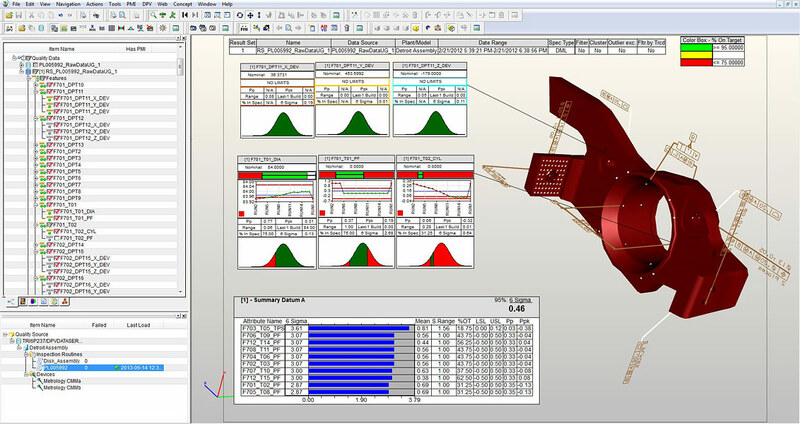 A digital prototype is used to create a comprehensive representation of geometry, product variation (tolerances), assembly process variation (sequence, assembly attachment definition, tooling) and measurements. This model is used to predict if there will be any assembly build problems, before any physical parts are made or tooling is cut. Tecnomatix Simulation and Validation solutions help you verify the methods and resources being defined and selected during manufacturing planning, resulting in proven, right-first-time manufacturing plans. 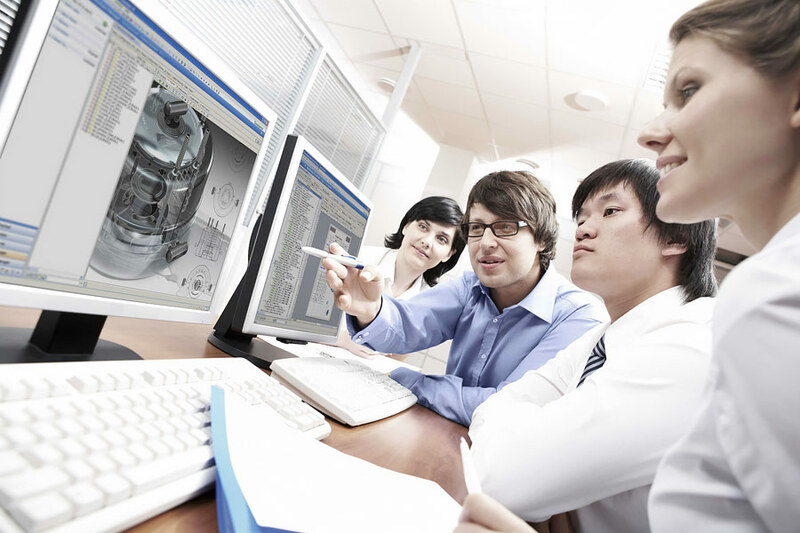 With manufacturing simulation, process plans are validated long before production implementation, providing you with the confidence that you have defined the right-first-time operations, resources and system configuration. 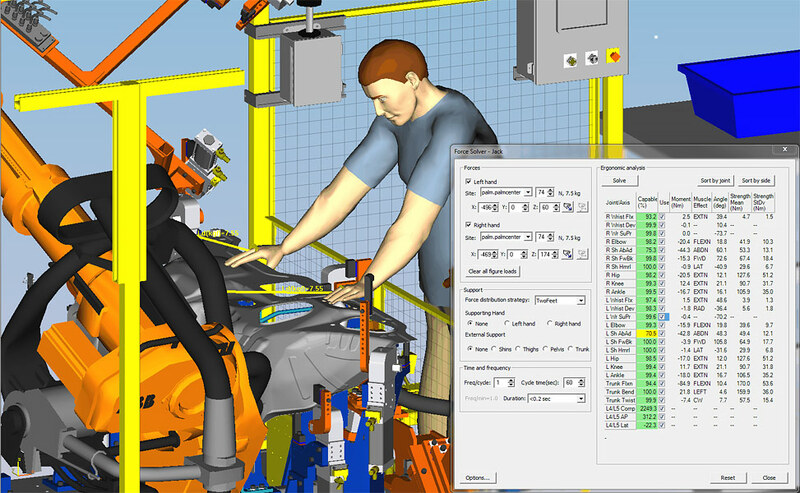 Assembly simulation and validation allows you to simulate assembly sequences, human tasks, and machine interactions to optimize assembly processes before the start of production. 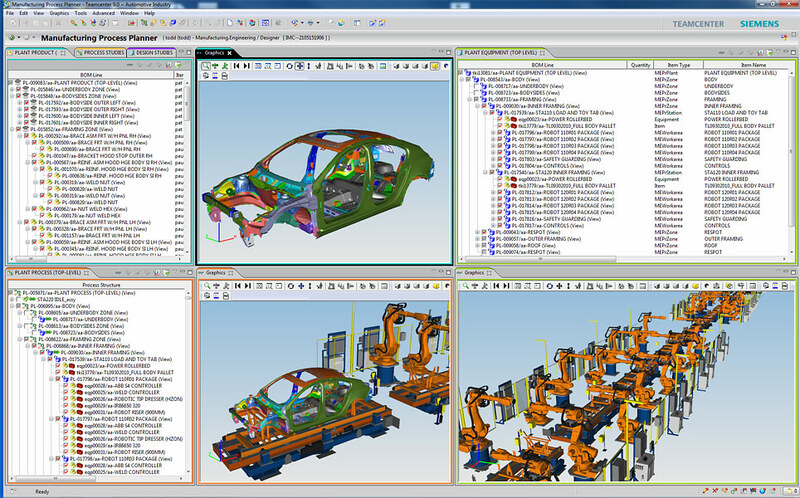 With Tecnomatix Process Simulate, you can take advantage of a data-managed environment for fully detailed assembly operation feasibility and validation tools for 3D sectioning, measurement and collision detection. Along with sequencing and automatic assembly path planning, you can easily simulate your entire process. 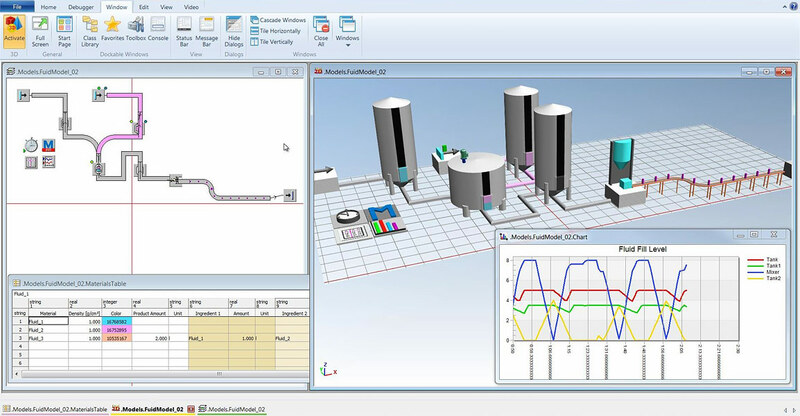 Process Simulate is fully integrated with the Teamcenter platform, thus enabling manufacturing engineers to re-use, author and validate manufacturing processes. It facilitates simulation of assembly processes, human operations and mechanical procedures of tools, devices and robots. With Tecnomatix robotics simulation and programming solutions, you can work in both data-managed and file-based environments for the development of robotic and automated production systems. 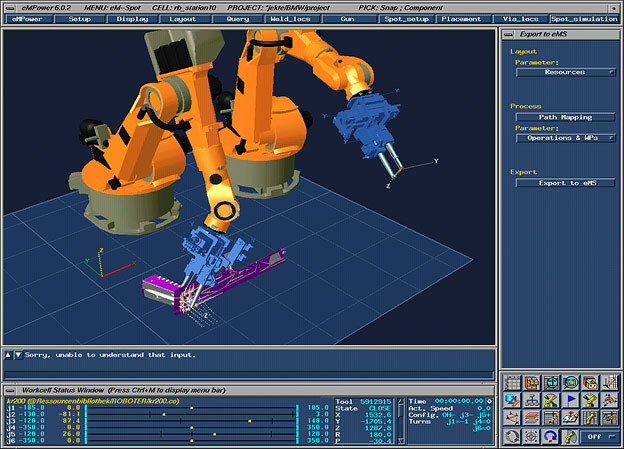 These tools address multiple levels of robot simulation and workstation development, from single-robot stations to complete production lines and zones. 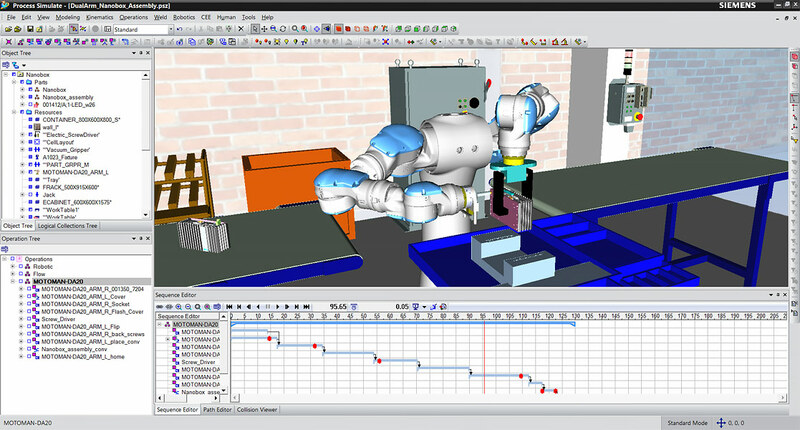 Process Simulate is event-based robotics simulation and offline programming software that is fully integrated with a data-managed environment. 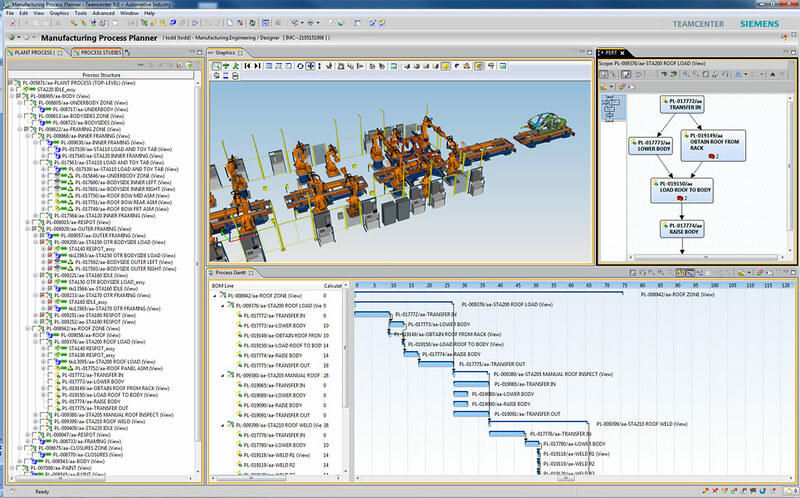 Process Simulate supports a wide range of robotic applications allowing you to simulate complete production systems. 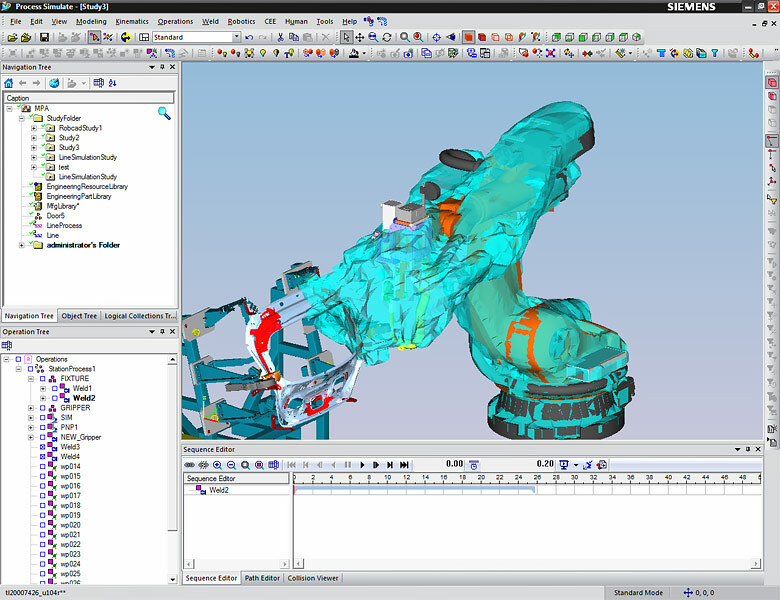 RobotExpert software from Siemens PLM Software enables the design, simulation and optimization of your robotic processes, including offline industrial robot programming, to maximize the speed, flexibility and operation of your automated systems. 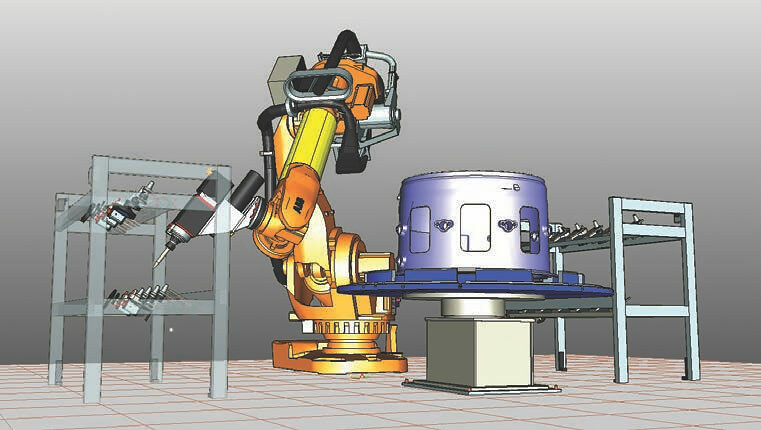 RobotExpert is an easy-to-deploy robot simulation software system that supports unique industry applications such as pick-and-place, material surface treatment, arc welding and laser cutting. Featuring an intuitive 3D environment, RobotExpert gives you the power to simulate complete manufacturing cells and systems, allowing you to optimize robotic paths and improve cycle times. 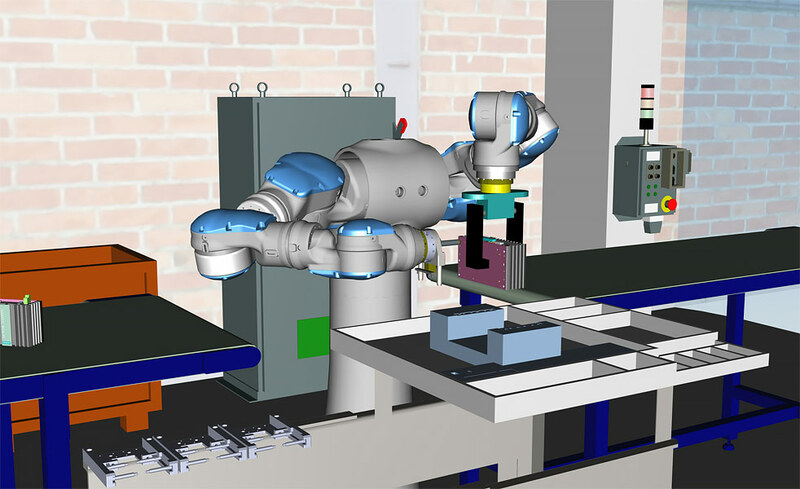 Robcad is a workcell design and simulation tool that allows you to develop, simulate, optimize, validate, and offline program multi-device robotic and automated manufacturing processes, all within the context of configured product and resource data. These full-action mockups of complete manufacturing cells and systems within a 3D environment provide a platform to optimize processes and calculate cycle times throughout the various stages of the development timeline, from concept through implementation. Robcad fully integrates core technologies and a powerful set of process-specific applications addressing a wide range of manufacturing processes including spot welding, arc welding, laser and water-jet cutting, painting and spraying, and material handling. With Tecnomatix logistics and material flow simulation, you can use discrete event simulation and statistical analysis capabilities to optimize material handling, logistics, machine utilization, and labor requirements. This allows you to quickly check for bottlenecks, validate transported materials, and view resource utilization over time for multiple process alternatives. 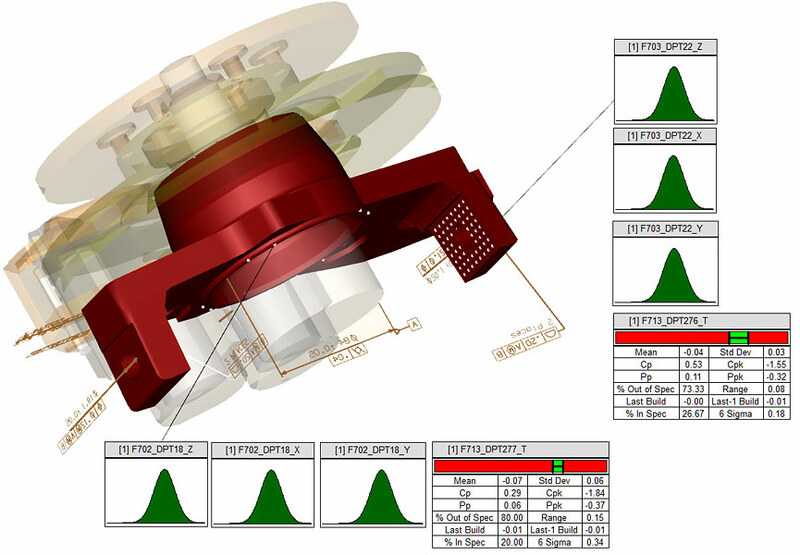 Using stochastic tools with object-oriented and 3D modeling capabilities, you can increase your manufacturing accuracy and efficiency while improving throughput and overall system performance. 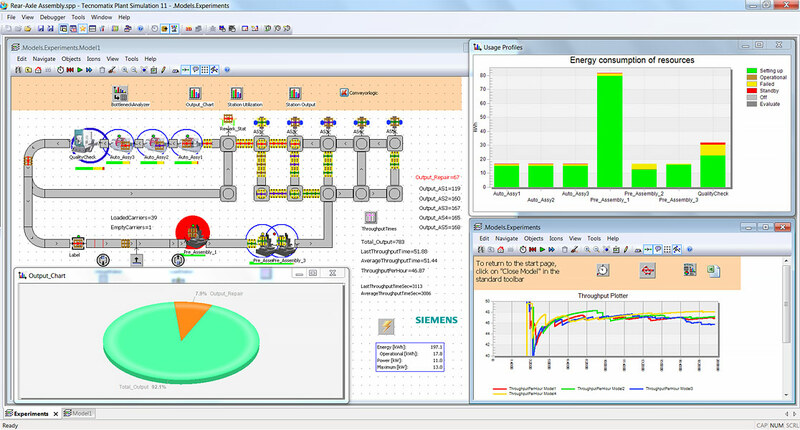 Tecnomatix Plant Simulation allow you to model, simulate, explore and optimize logistics systems and their processes. These models enable analysis of material flow, resource utilization and logistics for all levels of manufacturing planning from global production facilities to local plants and specific lines, well in advance of production execution. Extensive analysis tools, such as bottleneck analysis, statistics and charts let you evaluate different manufacturing scenarios. With Tecnomatix human simulation and ergonomics, you can improve the safety, efficiency and comfort of your workplace environment using human modeling in a virtual environment. Human-driven operations can be analyzed with lifelike models that can be scaled to match different population characteristics. You can test design and operational aspects of a wide variety of human factors, including injury risk, timing, user comfort, reachability, line-of-sight, energy expenditure, fatigue limits and other important parameters. 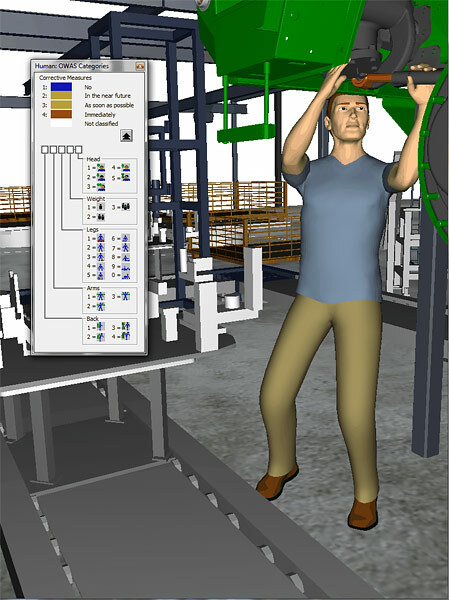 Jack is a human simulation tool that is used to populate designs with virtual people and perform human factors and ergonomic analysis. You can use Jack to simulate, test, improve and refine product designs and industrial tasks using the most comprehensive set of human performance tools available on the today. Process Simulate Human allows you to virtually develop and verify process plans for manufacturing systems in a collaborative, data-managed 3D environment that can be shared by multiple engineering and manufacturing disciplines. 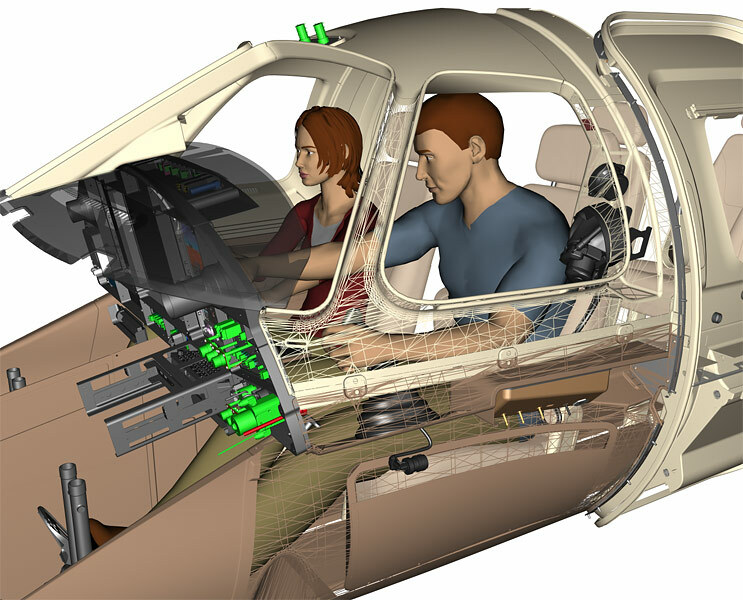 Process Simulate Human enables realistic simulation of human tasks, assessment of human performance and creation of effective ergonomic studies. Tecnomatix Launch and Production solutions allow you to commission automated systems, integrate quality monitoring and analysis platforms, connect shop floor systems and drive continuous improvement opportunities. Tecnomatix Launch and Production solutions allow you to seamlessly integrate manufacturing planning and production systems for predictive launches. This direct connectivity between planning and production systems leads to fewer installation, operation and quality issues as you ramp-up to volume production. The Tecnomatix issue tracking and management solutions provide closed-loop issue resolution built on an enterprise-scalable foundation for identifying, analyzing and sharing critical product quality data across your enterprise. Corrective and preventative actions (CAPA) software provides visibility into critical product quality characteristics, failures/non-conformances, and resolutions to these issues for smarter decisions across the extended global enterprise. Our CAPA software provides closed-loop issue management and resolution built on a scalable foundation, allowing you to identify, analyze and share critical product quality data across your enterprise. With Tecnomatix virtual commissioning solutions, you can debug your PLC codes on a virtual environment before downloading them to real equipment. By simulating and validating your automation equipment virtually, you can confirm that they will work as expected and significantly reduce system startup time. Our proven virtual commissioning capabilities allow you to promote early and effective collaboration between your simulation and control engineers. You can digitally validate both mechanical and electrical system components, including the programmable logic controller (PLC) programs that drive them. Our product lifecycle management (PLM) to manufacturing execution system (MES) integration closes the gap between product design, manufacturing engineering and production. A two-way integration allows you to deliver proper work instructions, capture errors and validate successful execution of work plans. 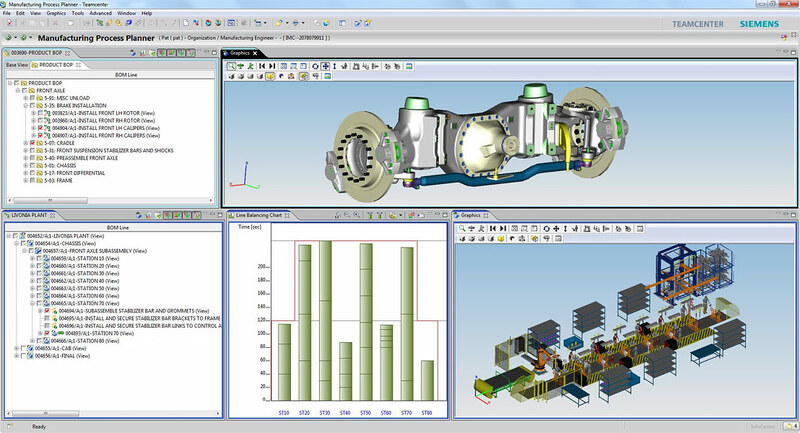 Tecnomatix build quality solutions from Siemens PLM Software allow manufacturers to automate data collection, translation, analysis and reporting of the latest inspection results, providing a consistent view of production quality in a single user interface. Dimensional Planning and Validation (DPV) is an integrated set of tools, based on Teamcenter, for the real-time collection, storage, management, reporting and analysis of measured quality data. It can bring measured quality data from the shop floor into a single-source measurement database or your PLM platform.